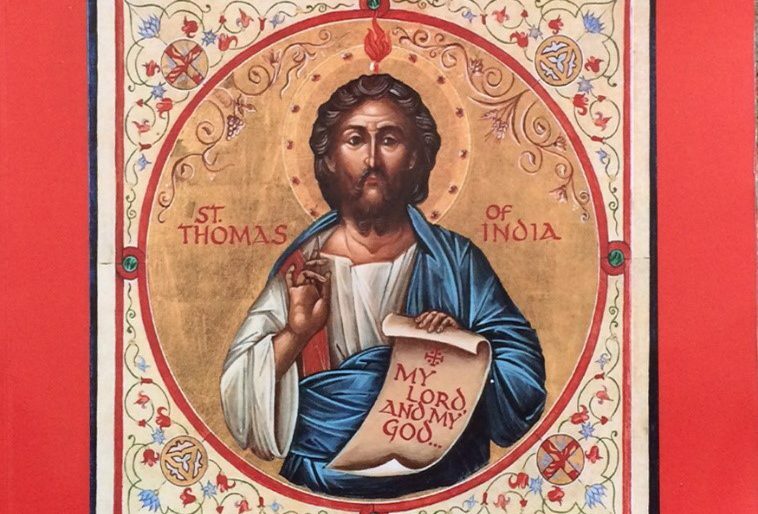 We’ve all heard tales about St. Thomas’ presence, and his reported founding of seven Christian churches, in south-east India in the 1st Century AD, and of his eventual ‘martyrdom’ there, but probably never before has this extraordinary mix of myth and history been so comprehensively pulled together, from multiple sources across multiple geographies, into a single intriguing record. The book, as its two predecessors is a richly illustrated, handsome product: it follows St Thomas’ footsteps (as Serena has personally done) right through Greece, Turkey, Mesopotamia, Persia and into the Indian subcontinent and beyond, with particular emphasis on his reported landing at Muziris on the coast of today’s Kerala and across to the east coast of Tamil Nadu. Tamil Nadu and Odisha (Orissa) are of course the focal area of Jeevika’s presence and rural development projects in India. So this is a very special book, with a special link to Jeevika. 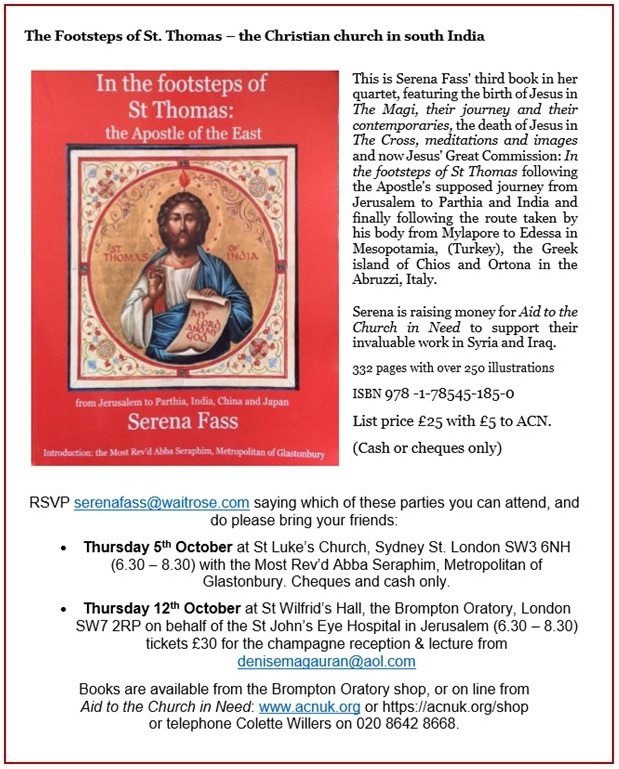 This latest book is being launched on Thursday 5th October at St Luke’s Church, Sydney St. London SW3 6NH (6.30 – 8.30) with attendance by the Most Rev’d Abba Seraphim, Metropolitan of Glastonbury. Please find below an open invitation to attend the launch and the opportunity to purchase the book at £25, either at the launch or by email application to andrew@jeevika.org.uk. both of which are also available for purchase at £25 on application by email to serenafass@waitrose.com.